Christmas has finally arrived for thoroughbred horseplayers everywhere. Churchill Downs is to horse racing as Augusta National is to golf, as Daytona Speedway is to NASCAR, and as the Rose Bowl is to college football. Rain or shine, nothing will dampen our enthusiasm come 6:34 p.m. EDT on Saturday as we watch the most exciting two minutes in sports, the Kentucky Derby. The forecast for the Louisville area on Saturday is for mostly cloudy skies with temperatures in the upper-70s with just a slight chance for showers. Even though Friday appears to be wet with 90% chance of rain, the Churchill Downs natural dirt racing surface dries rather quickly, so there’s no need to be concerned as to what runners can handle a sloppy or muddy track. Unless the meteorologists totally blew it, the track should be dry and listed as “Fast”. On Tuesday, Post Positions were drawn as a full field of twenty (20) three-year-olds have been entered plus one Also-Eligible, #21 – Blended Citizen. For this one to draw into the field, one of the twenty would have to scratch prior to 9:00am on Friday. 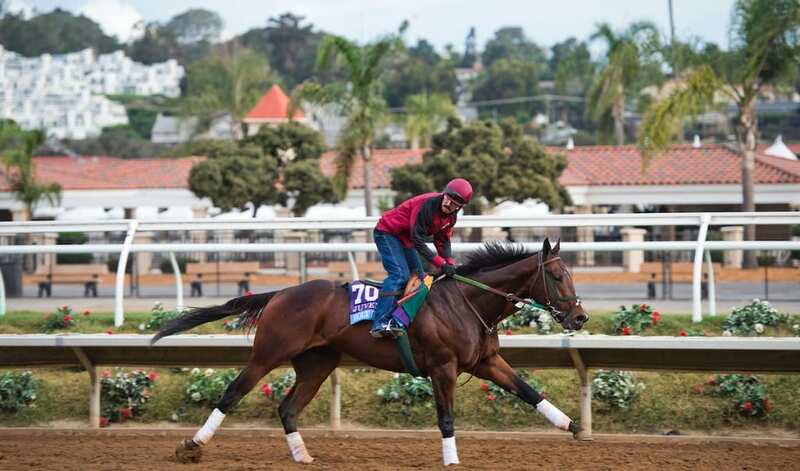 There are many schools of thought when it comes to handicapping the Kentucky Derby. The sheer size of the field itself can be overwhelming. Every runner has his positives and negatives. The key is to somehow pull it all together then imagine how the race will be run. With that being said, and my past performances marked up as if a pre-school class were turned loose on them, here’s HOW I SEE IT (the 144th running of the Kentucky Derby presented by Woodford Reserve) playing out, listed in my predicted order of finish. Odds shown are the morning line odds. Keep in mind I’m picking horses over 72 hours BEFORE they walk out onto the track. If possible, you should not make your wager until you’ve seen the horses in the Post Parade (12 minutes before the start). When horses reach the track, their physical appearance and body language can tip you off on which one(s) to include in your Exacta, Trifecta, Superfecta or simply WIN, PLACE and/or SHOW bet. Good luck! A highly touted two-year-old last year, was the undefeated 3-5 favorite in the Breeders’ Cup Juvenile but finished third behind two others entered in the Derby (Good Magic and Solomini) though had excuses in that he bobbled exiting the starting gate then raced 7-wide the entire trip. Though this will be the first time this Hall of Fame jockey will ride him in a race, this rider knows how to win the Derby, having done so in 2015, 2014 and 2002 from just nine mounts. Should be ready for a top effort in third start of the year following a three-length loss to the Derby favorite (Jusitfy) where the pace was slow which did not to soften up the winner early, yet still earned a lofty 110 Brisnet speed figure, second best among all Derby runners. Getting the Derby distance will not be an issue. Has never raced outside of southern California. Two starts in 2018 without crossing the finish line first make one wonder if this is as good as he’ll get? Was second in both of those races but was awarded the win in the G2 San Felipe (Mar. 10) two races back. Trainer has just 37 career victories, faces the pressure of shipping his horse across the country for the biggest race of both of their lives while having to deal with a media circus. There’s 3 million reasons, as that’s what his owners paid for him as a yearling. To date he’s earned nearly 2 million from just seven career races with the potential to earn tens of millions more at stud after his racing days are over. His half-sister, Beholder, earned over $6 million in winning 18 of 26 starts, many at 1 1/8 miles. Mendelssohn won the UAE Derby in Dubai by 18-lengths going 1 3/16 miles which is 1/16 mile longer than any Derby prep race in North America. His jockey is one of the best in the world and passed on riding in the Qipco 2,000 Guineas which is the opening leg of Great Britain’s Triple Crown so he could ride this one in the KY Derby. History. No European-based three-year-old has ever won the KY Derby. Didn’t ship to America until Monday of Derby Week, flight was diverted from Louisville to Indianapolis, quarantined for two days then finally got his first taste of the CD track just 2 days prior to the Derby. His trainer is considered the best in the world but has failed to hit the board with five previous Derby starters. Runner-up in the G1 FL Derby just one race after breaking his maiden seems to be the “Wise Guy” horse of Derby Week. Every year a buzz is created about one horse, usually a sleeper that the talking heads (aka experts) gush over but to this ‘capper’s recollection, few if any have lived up to the hype. Has the pedigree to get the 1 1/4 mile Derby distance as his sire’s (Tapit) offspring have won the 1 1/2 mile Belmont three of the past four years while his damsire (Touch Gold) won that race. Of all the horses seen at Churchill Downs in the morning, this one gets top honors as it seems he moves over this track effortlessly. Owner (Juddmonte Farms) doesn’t have Derby fever. The last two times they’ve started a horse in the Derby, they finished second (’03 Empire Maker and ’00 Aptitude). A son of leading sire Tapit (9th in 2004 KY Derby), who commands a $300,000 stud fee has turned out over a dozen crops of runners but has yet to produce a Kentucky Derby winner. He’s still eligible for non-winners of 2 lifetime races because he’ll be making just his fourth career start. Past Derby runners with similar lack of race experience have not fared well. One of just two undefeated colts in this event but has one more win (4) than the other undefeated one (Justify). Has never been challenged in the latter stage of his races with an average winning margin of three-and-one-half-lengths. Has a versatile running style in that he can be on or just off the early lead. Looked like a million bucks in the post parade prior to his most recent win in the G1 Arkansas Derby and has looked the same in the mornings at Churchill Downs in the days leading up to the Derby. Did not race as a two-year-old. Therefore, must overcome 136 years of Derby history, as Apollo in 1882 was the last Derby winner to have not raced at age two. His win on the front end in the G1 Arkansas Derby was helped by slow early fractions plus he drifted out in the final furlong which is often a sign of a tiring horse. Lacks experience… made his racing debut less than 4 months ago (Jan. 13). Won the 2017 Breeders’ Cup Juvenile as a maiden from off the pace earning a career high 105 Brisnet speed figure in the third start of his career, after which he was given a 4-month break from racing. The KY Derby will be this son of Curlin’s third start since that break which is a popular betting angle due to the belief a horse often peaks in that third race. Possesses the 2017 Eclipse Award trifecta… outstanding two-year-old of the year while his trainer and jockey also won the award for being the best at their craft. It’s been 27 years since the Blue Grass stakes winner (which he is) also won the Derby. Though he improved placement-wise from his first race of the year (third) to his second race (first), his speed figures remained the same. It will require a significant step forward and personal best to cross the wire first. In the 34-year history of the Breeders’ Cup, only two winners of the Juvenile race have also won the KY Derby (Street Sense in ’06 and Nyquist in ’15). Made career debut on Feb. 18th, that’s just 77 days prior to entering the biggest race of any three-year-old colt’s life. He must overcome 136 years of Derby history, as Apollo in 1882 was the last Derby winner to have not raced at age two. Has only three career races. Since 1933, only two Kentucky Derby winners that had less than five (5) career races going into the Derby was… in 2011 Animal Kingdom and in 2008 Big Brown. Both won the Derby in only their 4th career start. Has only faced/beaten a total of 14 horses in his career yet will face 19 in this race alone. Ran all 3 career races at the same track (Santa Anita). Over the past ten years, Derby starters who had exclusively raced at one track are 0 for 11 in the Derby. If he fails to relax early on with equally speedy rivals eager to get position, he could use all his energy and have nothing left for the stretch run. Third consecutive year in which the Desormeaux brothers have teamed up in the Derby, having runner-up Exaggerator in 2016 and Sonneteer, who finished 16th last year. Well-traveled colt makes fifth start of the year at fifth different venue, all on dirt (4:2-0-2). Would benefit greatly from very quick early fractions, say :45 half and/or 1:10 for three-quarters in hopes of catching his leg-weary foes late. Visually impressive winner of the FL Derby. Winner of 4 of 5 career races. Only loss came in his debut last September, a sprint where he made up over six lengths in the stretch. Speed figures have ascended in every subsequent race. His 107 Brisnet speed figure is third best behind Justify (114) and Bolt d’Oro (110). The jockey who rode him in his two most convincing victories will be aboard as he was unable to ride in his most recent race (FL Derby) due to riding commitments in Dubai that day. Questionable pedigree to be successful travelling the grueling 1 ¼ mile Derby distance as both his sire and dam excelled in sprint and middle distance races. Just one NY-bred, Funny Cide (2003) has managed to get to the Derby Winners’ Circle. Though ridden by one of the nation’s top riders, Castellano hasn’t come close to winning a Derby in his 11 attempts, his best finish was 4th. One of the top two-year-olds in the country last summer winning his debut at Churchill Downs and has raced in seven consecutive graded stakes events. He hasn’t dodged anybody and always gets a call in the latter stages of his races. His bloodlines suggest there’s no question he can handle to Derby distance. Troubling that he has not improved in his three races in 2018, lacking the necessary speed late in contests to be a threat to win. In winning his career debut at Churchill Downs, he’ll have to break an 84-year drought of having his first win come over the same track as the KY Derby. The last Derby winner to have done that was Brokers Tip in 1933. Though Churchill Downs is trainer Dale Romans’ home track, winning the Derby has eluded him (8: 0-0-2). Same owner/trainer combo that brought you American Pharoah know how to get to the Winners’ Circle in the Derby, bring this son of Curlin to Louisville for his third start of the year, which often yields a thoroughbred’s top effort. Never off-the-board in six career starts, got to the wire first in the G1 Los Alamitos Futurity but was disqualified and placed third in a very controversial decision. He’s still eligible for non-winners of 2 lifetime races. He will carry 8 lbs. more than the 118 lbs. he did in the Arkansas Derby, while all others in here have carried at least 122 lbs. in their final prep race. Seems to lack a finishing kick in the final stages of his races (aka a Hanger). No Derby starter breaking from Post 17 has EVER won this race (0 for 39). Fast-closing fourth in the G1 Arkansas Derby yet it was his worst finishing position in his seven-race career. Though winless in his last five starts, he’s been only a few lengths behind horses who will run against him once again in the Derby, so with a significant step forward he could shock the racing world at Mine That Bird odds. Trainer currently holds the dubious distinction of having the most Derby starters (18) without a win. Used to carrying 115-118 lbs. but will carry 126 lb. on Saturday. That’s a significant amount for a long race. He broke his maiden in his second career start at Churchill Downs; see Free Drop Billy as to why that’s a bad omen. One of a quartet of runners who will be quick from the gate trying to get the early lead or just off the early leaders. Has improved this year from his two-year-old form, winning twice followed by two runner-up efforts in four starts. Chances would be greatly enhanced if the track happens to be sloppy or muddy as he’s 2 for 2 on such surfaces. Has matured since finishing just 3 1/4-lengths behind Derby second-choice Mendelssohn in the Breeders’ Cup Juvenile Turf last Fall. Just one of his five victories came on a fast, natural dirt track which was at Tampa Downs, where turf runners seem to do well on that main oval. Would be just the fifth Derby winner not foaled in the United States, the last was fellow Canadian-bred Sunny’s Halo (1983). Worst loss came in only start at Churchill Downs when unable to get early lead. Won the G2 Wood Memorial in his latest start while earning his career best 102 Brisnet speed figure but had to survive an objection for alleged interference in the stretch. His jockey chose to ride him over two other Pletcher-trained runners (Audible and Noble Indy) in the Derby, though is it a good bet the reason was a good business decision as Velazquez rides most of owner Mike Repole’s horses. Many who cover horse racing have expressed how well this one seems to be doing on the Churchill Downs track in the mornings leading up to the Derby. No Wood Memorial starter has finished better than fourth in the Derby since Funny Cide won in 2003… that would be 29 runners who failed to even be part of the Derby trifecta. Horses typically have a peak performance in their third race after a layoff, which in his case was his last race. Hence, he may regress in the Derby. Difficult to question his heart as he won the Louisiana Derby after giving up the lead in the stretch. Three wins from four career starts. Derby will be his second start racing with blinkers which is a little-known betting angle that often will vastly improve a horses’ performance. His trainer is one of the best in the industry in getting horse to the KY Derby. Last raced on March 24th; 41 days prior to Derby Day is viewed as too long of a gap leading up to a big race. First time his jockey will be riding him and just got the assignment 9 days ago, as his regular rider opted for Vino Rosso (which could have been a business decision versus indictment of this one’s talent). Has had issues in three of his four starts when leaving the gate, though not completely of his doing but a concern it is imperative for him to get a clean break due to his running style. Has only four career races. Since 1933, only two Kentucky Derby winners that had less than five (5) career races going into the Derby was… in 2011 Animal Kingdom and in 2008 Big Brown. Both won the Derby in only their 4th career start. Three wins from six starts. Won career debut at Saratoga on a muddy track, two races later won his only start at Churchill Downs in the G2 KY Jockey Club which turned out to produce multiple winners on the road to the Derby, then two races later won the G3 Gotham at Aqueduct. The Derby is two races after his latest victory… see the pattern here? He has a “stair-climbing” running motion which is not ideal when travelling in close quarters. In winning the G3 Gotham stakes, he faces a tough task to win the Derby because Secretariat is the only Gotham winner to wear the blanket of roses on the first Saturday in May. I knew Secretariat… and he’s no Secretariat. 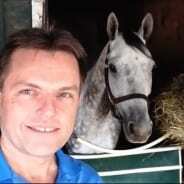 Southern California based runner recorded a triple-digit (102) Brisnet speed figure in the Santa Anita Derby in his latest effort even though he finished 10-lengths behind the winner. He’ll need to improve quite a bit but should get a clean break considering he’s in the first slot of the auxiliary gate meaning there is a gap to his inside, free of getting bumped or squeezed back at the break. Comes off the best race of his life, which oddly was only good enough for a runner-up finish in the Louisiana Derby, after rallying from off the pace to grab a one-length lead in mid-stretch. Has had three very fast workouts since arriving at Churchill Downs. A huge thoroughbred racing supporter, his late-owner Tom Benson (who also owned NFL New Orleans Saints and NBA Pelicans) just passed away in March. If you believe in a higher authority, then maybe here’s your horse. Just one win from eight starts and that one came on a sloppy track. His jock has no Derby experience. Only three horses have won the KY Derby after competing in the Louisiana Derby. Two of them, Grindstone in 1996 and Black Gold in 1924 captured both Derbies. Funny Cide (2003) parlayed a third-place finish in that event into a blanket of roses in the Kentucky Derby. This colt took a huge (18 point) leap in his Brisnet speed figure last outing and could “bounce” (i.e. take a step backwards in his next race). There’s only one way and that’s by getting the early lead as he has accomplished in all five of his outings, in three of which he made every pole a winning one. That’s his trainer’s, as Romans said, “We’re going to the lead and whoever thinks they can run with us early, good luck.” Could use multiple excuses for stopping in latest start… was washed-out in the Post Parade then pressured to maintain the lead early, which he could not sustain, so the jock just saved him for another day… Derby Day. In Derby history, only 22 winners have gone gate-to-wire. That’s 22 for 143! The last one to do it was War Emblem in 2002. A disappointing 9th in the G1 FL Derby as the last KY Derby winner to have finished worse than 4th in his final Derby prep race was Iron Liege (1957) who ran 5th in the Derby Trial. He won his career debut at Churchill Downs as did Bravazo, Combatant and Free Drop Billy. See the latter’s explanation as to why that’s not a good formula for winning on the first Saturday in May. Bloodlines indicate he lacks the stamina to get the 1 1/4 mile distance and will likely begin to retreat as the field hits the top of the stretch. His name in Spanish means “excellent” and what better a day to be so than on Cinco de Mayo, May 5th. What he has is a lot of heart as he won his first two starts of 2018 by a neck and a nose, after doing most of the dirty work dueling for the lead in both events. His Hall of Fame trainer decided to part ways with jockey Gary Stevens (they teamed up to win the Derby twice) based Stevens’ comment that his mount “was not happy” in his latest race, so maybe his new rider will have better luck. Finished a disappointing 8th in the G2 Louisiana Derby as the 5-2 second choice in his latest start. The last KY Derby winner to have finished worse than 4th in his final Derby prep race was Iron Liege (1957) who ran 5th in the Derby Trial. He won his career debut at Churchill Downs as did Promises Fulfilled, Combatant and Free Drop Billy. See the latter’s explanation as to why that’s not a good formula for winning on the first Saturday in May. Appears to be not fast enough as he’s yet to record a triple-digit Brisnet speed figure, a prerequisite for winning the KY Derby. If he gets loaded into the Starting Gate and exits when the gates open, he has a chance… though ever so slim. He is the only colt in here to have run two 1 1/8 mile races. Claim to fame is he beat the Breeders’ Cup Juvenile winner (Good Magic) last October in the G1 Champagne stakes at Belmont contested at one mile. He owns the lowest career-best Brisnet speed figure (96) among Derby starters. Pedigree suggests he’ll have stamina issues trying to run the Derby distance. Jock’s first Derby which can be a daunting task with twice as many horses around him than a typical race, even more so when breaking from the dreaded rail position. It’s been thirty-two years since the last Derby winner (Ferdinand) came from post position #1 and that was in a field of 16, not 20 starters.